Middle East carriers experienced a 4.4 per cent rise in demand in October compared to last year, slowest among the regions for the seventh time in 12 months, said the International Air Transport Association (Iata) in a new report. It was, however, an increase over the 3.3 per cent increase in September. Capacity increased 6.4 per cent, and load factor slid 1.3 percentage points to 69.8 per cent, lowest among regions, added the Iata report. Carriers have been buffeted by policy measures and geopolitical tensions in recent years, including the ban on portable electronic devices and travel restrictions. However, while volatile, passenger volumes are trending up solidly in seasonally-adjusted terms. African airlines’ traffic grew 6.8 per cent year-on-year in October, raised from 6 per cent annual growth in September. The upward trend in passenger demand remains strong notwithstanding challenges in the economic backdrop of the continent’s largest economies, Nigeria and South Africa. Capacity rose 5.5 per cent, and load factor climbed 0.9 percentage points to 70.3 per cent. Globally, passenger traffic results for October showed that demand (measured in revenue passenger kilometres, or RPKs) rose 6.3 per cent compared to the same month last year. This marked a rebound from 5.5 per cent growth recorded in September, which was an eight-month low. Capacity also grew 6.3 per cent and load factor was flat at 81.1 per cent, matching last year’s record for the month. “October’s healthy performance is reassuring after the slower demand growth in September—some of which was attributable to weather-related disruptions. However, the bigger picture is that traffic growth has moderated compared to earlier in the year, reflecting a more mixed economic backdrop and reduced demand stimulation from lower fares,” said Alexandre de Juniac, Iata’s director general and CEO. October international passenger demand rose 6.3 per cent compared to October 2017, up from 5.1 per cent growth in September. Airlines in all regions recorded gains. Total capacity climbed 6.1 per cent, and load factor increased 0.1 percentage point to 79.8 per cent. European carriers’ October demand climbed 7.5 per cent over October 2017, which was the strongest growth among regions and well up on the 5.3 per cent increase for September. Capacity rose 7.0 per cent and load factor edged up 0.4 percentage point to 85.2 per cent, highest among regions. Asia-Pacific airlines’ traffic rose 5.8 per cent compared to the year-ago period, up from 5.4 per cent year-over-year growth in September. Capacity climbed 5.4 per cent and load factor rose 0.3 percentage points to 78.9 per cent. North American airlines’ traffic climbed 5.6 per cent in October compared to the year-ago period, up from 4.9 per cent growth in September. Capacity rose 3.7 per cent and load factor surged 1.4 percentage points to 80.4 per cent. Latin American airlines were the only carriers to experience a slowdown in growth as demand rose 5.9 per cent versus 6.3 per cent in September. Capacity climbed 9.1 per cent, and load factor dropped 2.4 percentage points to 80.4 per cent. 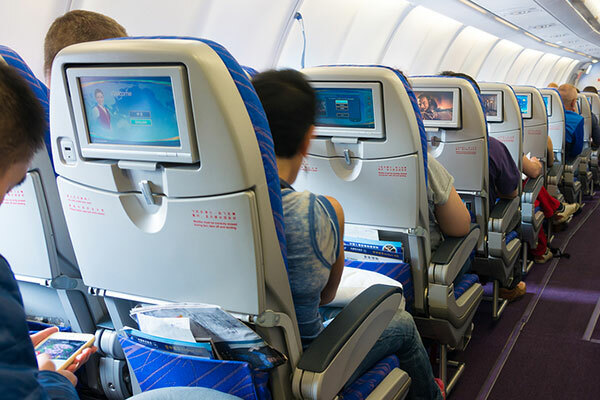 “Demand for air travel is strong as we head into the holiday travel season. Trade wars and uncertainty around the political and economic impact of Brexit remain concerns but the recent easing of fuel prices is a welcome development,” said de Juniac. “In a few days, Iata will hold our annual Global Media Day in Geneva, bringing together more than 100 journalists and bloggers from around the world. We will present our updated economic forecast, among other topics. I always look forward to this opportunity to discuss and debate the key issues and initiatives facing commercial aviation with our colleagues in the media,” said de Juniac.